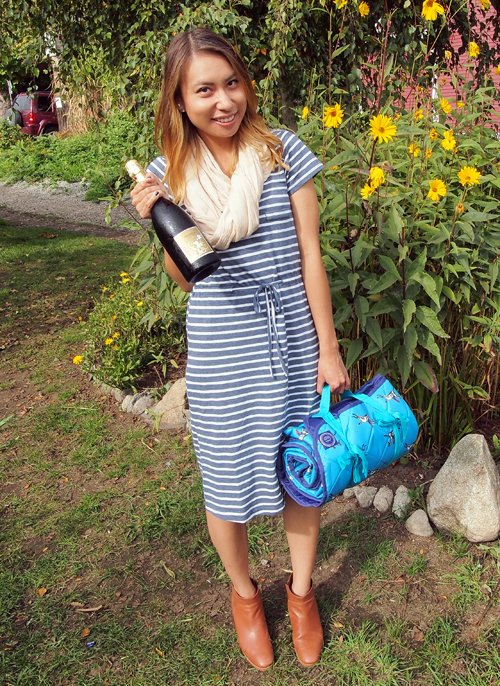 A couple months ago, I shared a few (very red) accessories from British brand, Joules, in this post and am back again today with one of their lovely day dresses and a roll-up picnic blanket that I am totally obsessed with. 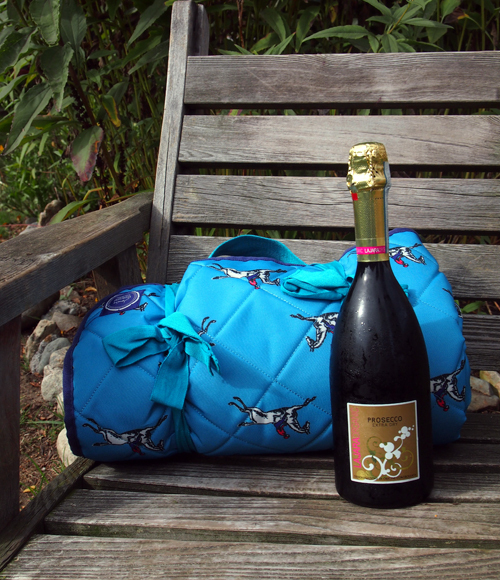 Both pieces are perfect for outdoor hangouts with friends -- especially if there's a bottle of bubbly in tow! Bubbly is always necessary! You look great, I love the booties! 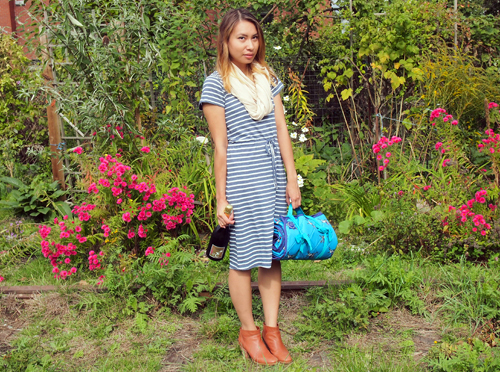 I love this dress, it looks smart but also comfortalbe. Also, give me the bubbly! Garden picnic, what a cool idea! Love the dress on you, looks so pretty. The dresses from Joules are just so gorgeous! And perfect for picnics too! You look fantastic. you know, i don't own a single item from joules but these are both lovely! i'm on the hunt for some more day dresses so i'll take a peek. I'm actually here to comment on your newest post ;-) massive fail as I can't seem to find the 'comment' button!....love everything but especially lusting over the bag & shoes! !